Utes and tradies go together like meat pies and tomato sauce, like Queensland and XXXX – like tradies and a cold beer at knock off on a Friday arvo for that matter. 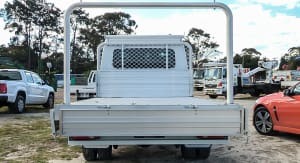 Our hardworking Aussie tradies rely on their vehicles for their livelihood, so any work ute worth its salt needs to be practical, functional and hard wearing. Then there are lifestyle factors to consider as well. 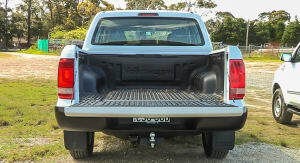 What do tradies look for in a ute? 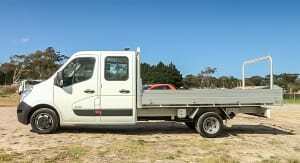 Is it looks, durability, load capacity, family factors, or is it getting that combination right that sells a certain type of ute to a certain type of tradie? I suspect that will be the case, but to test that theory, CarAdvice enlisted the help of Aroha from Tradie Exchange to hook us up with a bunch of tradies keen on trying out a range of different styles of utes. 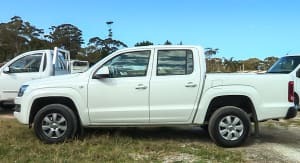 As luck would have it, our test bunch all currently drive the usual suspects – Ford Ranger, Toyota HiLux and Mazda BT-50 – so to mix things up a bit we handed them the keys to a Mahindra Genio, Volkswagen Amarok, Renault Master and Holden Commodore SV6 ute. All very different vehicles that represent a cross-section of the range of options available in the market (and there are a LOT of options). The Mahindra Genio is the cheapest in the segment, priced from $19,990 drive-away. It’s a simple, practical ute. 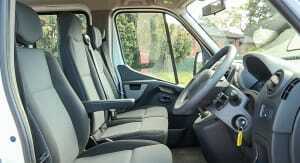 We had the single cab 2.2-litre, four-cylinder turbo diesel with a five-speed manual transmission. 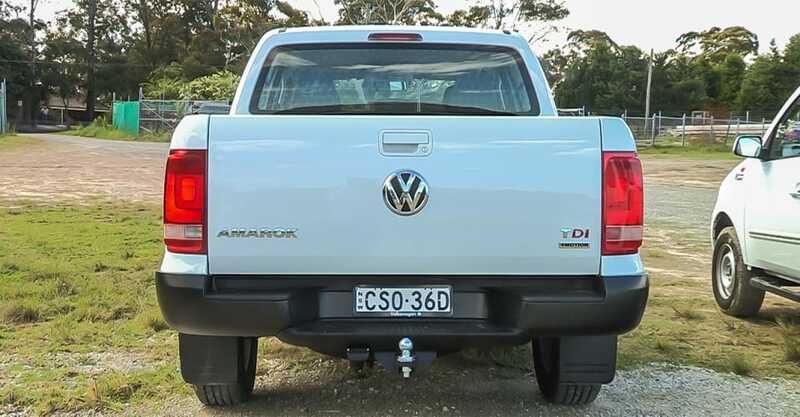 The Volkswagen Amarok has a reputation for being the ‘foreman’s choice’, the dual cab TDI420 used for this review certainly had a lot more bells and whistles than the Genio. 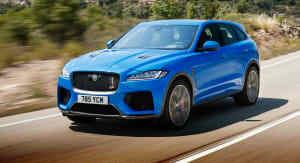 It’s priced from $45,990 with a 2.0-litre, four-cylinder turbo diesel engine and an eight-speed automatic transmission. 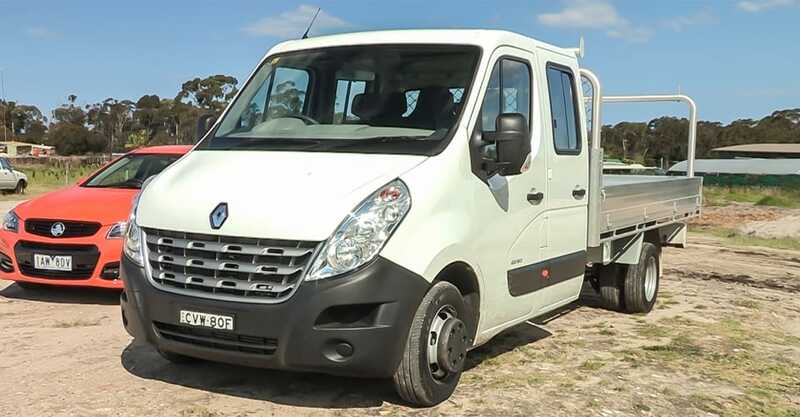 When it comes to something a bit out of the ordinary, the Renault Master has a lot going for it, and it’s huge with an impressive load capacity. 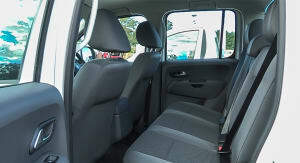 The cavernous, though sparsely kitted out, dual cab variant seats seven. It’s powered by a 2.5-litre, four-cylinder diesel engine with a six-speed manual transmission. 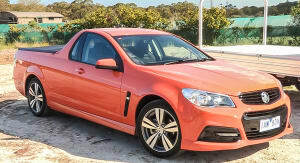 For the tradie that wants a work horse that can double as a fun weekend runabout, the sporty Holden Commodore SV6 ute certainly looks the part. 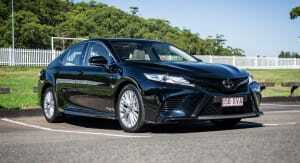 It has a 3.6-litre six-cylinder petrol engine with a six-speed automatic transmission. 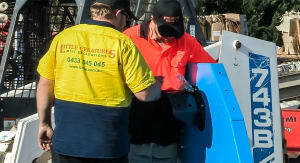 We met our four-man crew at the Little Creatures Mini Excavations (LCME) yard in Terrey Hills, Sydney to hand over the keys. They each spent a few days in one ute, but had the opportunity to drive the other three as well. Rob Kinnaird was paired up with the Genio. He is 34 years old, a concreter and earthmover by trade and the manager at LCME. During work hours, he spends a lot of time behind the wheel of numerous trucks and things like mini excavators and bobcats. 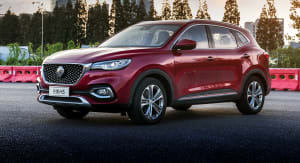 His current family car is a Nissan X-Trail, used to ferry his three kids, aged five-years, two-years and eight-weeks, though he admits he has been eying off a Holden Crewman and his dream car is a VK Group A Brock Commodore. 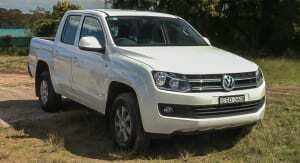 Our next guinea pig was 32 year-old, father-of-one Sam Van Dyke, who was handed the keys to the Amarok. As a self-employed carpenter and a Ford Ranger fan, he currently drives an ’08 model and is keen to upgrade to the new Ranger. Though if he could have any car in the world, he’d opt for a Ford F250. 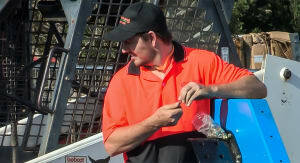 The priorities he looks for in a work ute are seat comfort, power for towing, smooth driving and a good-sized tray. 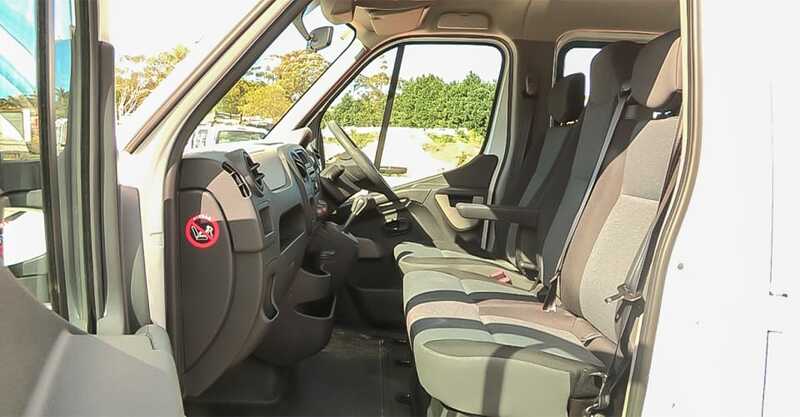 David Hewitt got behind the wheel of the massive Renault Master. He is 45, a project manager for Remotek and has three children – and they are a Toyota family. Mr Hewitt drives a HiLux for work and has a Rav 4 and a Corolla in the garage at home, but he would enjoy one day owning a Commodore Group C Touring Car. 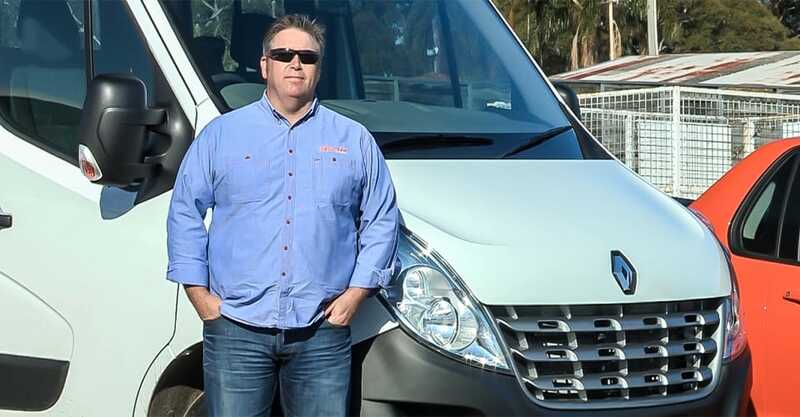 When it comes to work he needs a dual cab and the non-negotiables are the ability to carry gear on the roof, proper clearance and height, and an automatic transmission. 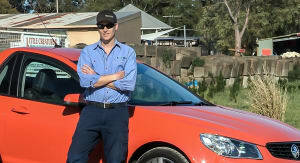 The fun Holden Commodore SV6 was handed over to 32 year-old father of two John Bullock. 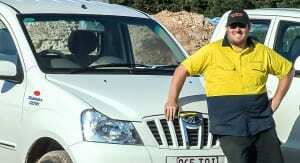 He’s a concrete tester for Testcrete and usually cruises around in a Mazda BT-50 for work and a Nissan X-Trail for family outings. 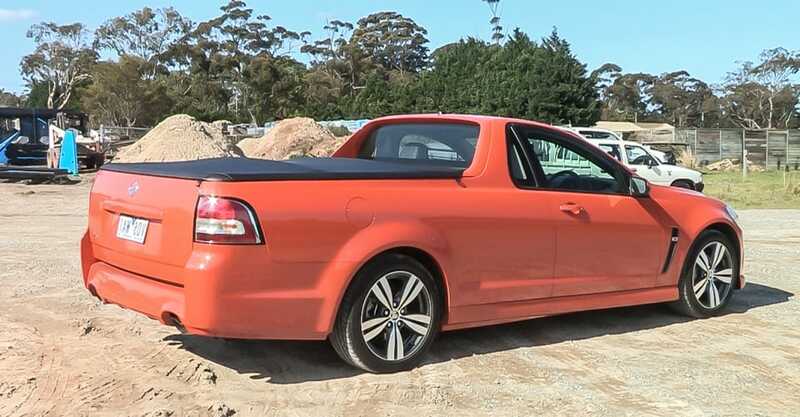 The important factors for John when it comes to considering a new ute are practicality, reliability and economy – he’d probably be left disappointed on those fronts if he had his dream car, a Bugatti Veyron. Being a bit of a rev-head he revelled in his time with the Commodore SV6 ute. “I really enjoyed the car, practicality wise I found it a little bit difficult getting in and out of sites, but really a nice car to drive,” he said. 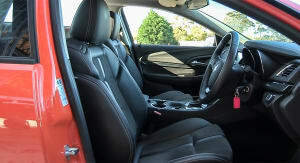 He felt the interior was also impressive, “Well finished off. I think one of their best finished cars to date.” On the other hand, the low clearance proved to be a bit of an issue getting on and off job sites. Sam also found the Holden’s ground clearance to be a problem, but still gave it a tick of approval. He also felt a bit more height would benefit the Amarok as well. “Probably a little bit more height would be nice if you’re going to go onto these sites but not being an alloy tray, its not really a work ute,” he said. Features like the reversing camera were a hit. Similar to the Holden, the VW was well kitted out with tech and features. “So comfortable and quiet, and everything is there, it’s got all the cigarette lighters for your phones and stuff like that all over the place.” Overall he was impressed but found the lack of an alloy tray a bit problematic. David however didn’t have that issue with the Master, its got roominess well and truly covered. “It’s got a big tray its got a lot of room, its got good power for its size and overall fairly comfortable,” he said. 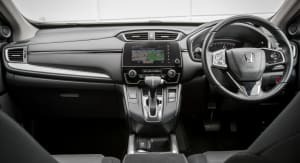 “I thought the interior did look fairly basic but at the same time it had all of what you needed – but there were no reversing sensors, or camera, those things would definitely come in handy.” Another bug-bear was the rough and somewhat tardy response to gear changes. “It was a comfortable vehicle on a long haul – running around with the work crew or a large family and if you wanted to take all your tools with you it would certainly get the job done.” Overall its practicality was winning points, though Rob also found the gearbox a struggle to get used to. “The gearbox in it is terrible, it’s got a lag between gears. 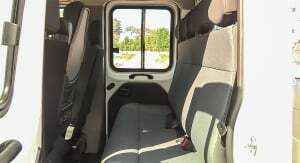 I found the four seats across the back were probably a little bit too narrow, they would have been better off to have three more roomy seats I think,” he said. 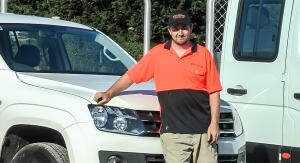 For any tradie, choosing a work ute is surprsingly personal and a lot of factors come into play. Family considerations, leisure time, work needs, as well as the look and feel. 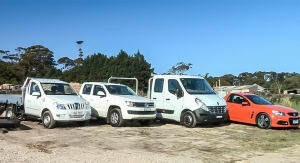 Ultimately, all four would take the Amarok out of this bunch. To be fair all have children so the lure of the dual cab overshadowed the favourable qualities found in the others. 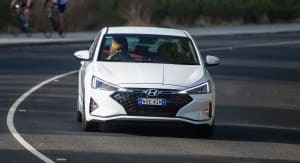 They all wanted to take the Holden home for the weekend, were pleasantly surprised at the performance and practicality of the cut-price Genio and were wowed by the size and contradictory agility of the Master. CarAdvice would like to thank Rob and LCME for hosting us, as well as Tradie Exchange for hooking us up with these fantastic tradies. 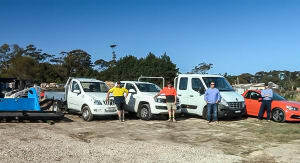 Stay tuned for the next instalment, putting more utes through their paces with real tradies. Read our CarAdvice expert reviews here… Volkswagen Amarok, Holden Commodore Ute, Mahindra Genio, Renault Master.